This is the second of seven reviews of wines from Vinkara in Turkey. To learn more about the history of Turkish wine, what's going on with it today, and more on Vinkara, check out Tarhun Returns: The Resurgence of Turkish Wine. Vinkara is located in Kalecik, central Anatolia. You will never ever ever guess why Kalecik Karasi has Kalecik in its name! EVER! Okay, ready??? It's native to the area. BOOM! Mind blown, right? I don't know why I did that, sometimes I feel like being all smartassy for no reason. 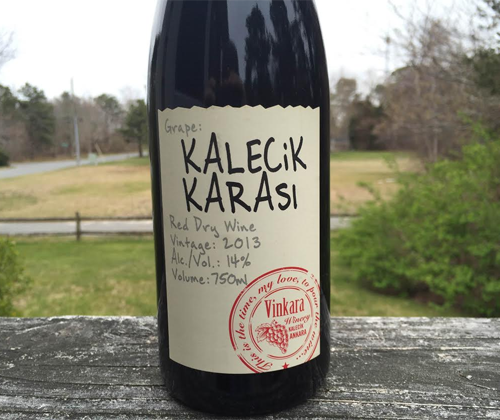 Kalecik Karasi (Kah-le-djic Kar-ah-ser) was once nearly extinct until it was revived with the rise of fine wine in Turkey and it's now one of, if not the, most famous and in-demand varietals of Turkish wine. 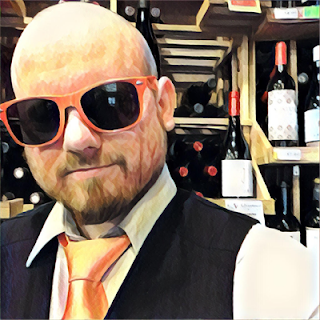 It's been mostly compared to Pinot Noir if you want to compare it to something, but it's very much its own thing entirely. This is Vinkara's entry level Kalecik Karasi and later in the month I'll be reviewing their Kalecik Karasi Reserve. This one here was cold macerated and fermented in stainless steel, aged 14 months in French oak, then six months in the bottle. The color is a beautiful dark ruby red. In both wines I've reviewed by Vinkara so far I've sat there and appreciated the color longer than I usually do. They both just look stunning. The ethanol is strong on the nose, and there's aromas of dark sweet cherries, plum and Greek olives. It's light to medium bodied and is very well balanced with its medium tannin and acidity. There's flavors of raspberry, sour cherry and nuts. It finishes with sour cherry and an uplift in acidity. This particular Kalecik Karasi has more in common with Grenache than Pinot Noir, in my opinion. This is a red that you'll no doubt enjoy in the heat of the summer. Give it a slight chill, cook up some cheeseburgers and you're golden. But just like Vinkara's 2013 Narince, it's not going to knock your socks off. It's just a nice wine, and it's right at the price point that it should be.